Some friends came round for dinner on Tuesday and I very proudly showed them my new roof terrace. “HOT TUB!” shouted the one who sells fine wine. No, I don’t have one, but I think he spends half his time in a hot tub – drinking Krug, probably – and the mere sight of decking is enough to set him off. Nice idea but not sure I like the potential water-and-half-a-ton-of hot-tub-smashing-through-the-kitchen-ceiling scenario. Perhaps a roof terrace paddling pool? Does that maybe not quite have the same cachet? I was trying out food and wine combos and cooked a recipe for pork belly marinated in five spice and star anise, given to me by Annie Millton of Millton Vineyards in New Zealand. We opened half a dozen of wines to taste with it (this sort of thing happens a lot in my house), most of them white, but there was one red that went really well too. 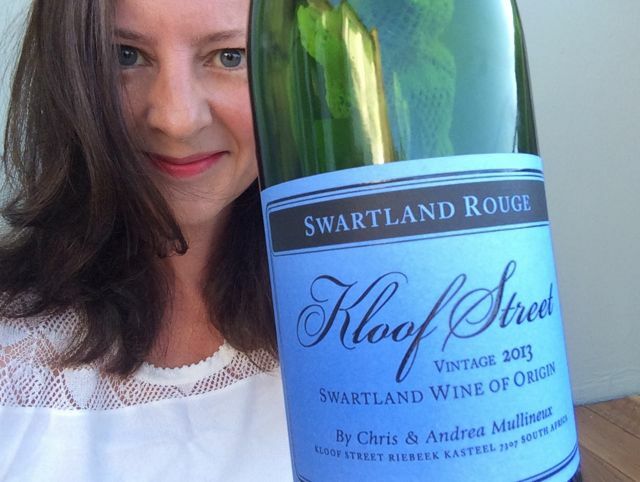 Kloof Street Rouge 2013 (Oddbins, £13) is made in Swartland in South Africa by husband and wife team Chris and Andrea Mullineux. Swartland, north of Cape Town, is a very hip place for wine at the moment. It’s beautiful too, with its vast plains, big skies and features like Porseleinberg (the Porcelain Mountain) named as if from a heroic epic. Kloof Street Rouge is a blend of southern French grapes – syrah, carignan, cinsault, mourvèdre and grenache – with a distinctively South African twist, slightly smoky, reminiscent of liquorice and liquorice root, throaty but with a freshness too. A delicious red, brilliant for barbecued food too. Spookily, when I looked it up just now on the Oddbins website to check the price, I saw that their recommended food match is [pauses for dramatic effect] – pork belly with star anise. It’s a sign. Try it. One other piece of news: I was thrilled this week to be shortlisted in no fewer than three categories of the Louis Roederer International Wine Writers’ Awards. I entered work from my Saturday Telegraph column (print and online), my weekly column in Telegraph Luxury (digital only) and my monthly food and wine slot in Olive Magazine and am thrilled to bits to have made it into the running with each one. The winners will be announced in September. That’s all for now – hope it’s been a good weekend with many delicious bottles.